Edmonton, AB: Puckrin's Production House Ltd.. Good. 1980. First Edition. Softcover. Signed by author on first endpage: "To ____: With warmest & best wishes. Michael D. Hartley. Paperback with acceptable cover and very good interior. Pages are clean and intact, a few light corner creases, age tanning to pages. Cover has scuffing and several creases, moderate wear to edges and corners. Very scarce title. "Only a few knew about the first stirrings of terror. Suddenly, out of the swamps a deadly swarm of giant mosquitoes swept across the country .... Driven by an overpowering hunger for blood." (95os,0415) ; 12mo 7" - 7½" tall; Signed by Author . Lake Geneva, WI: New Infinities Productions. Good+. 1989. First Edition; First Printing. Softcover. 0425116662 . Edited by Matthew K. Forbeck. 1st printing 1989. Pages clean and intact other than a couple tiny spots inside cover and first page. Light age tanning to pages and inside covers. Cover has a bit heavier wear with moderate edgewear, light ink rubbing, scuffing and numerous creases, tiny peeled area where sticker may have been removed. (175not,713) ; 12mo 7" - 7½" tall . U. K.: Signet Books / Penguin. Very Good. 1995. First Edition. Softcover. 0451183797 . Pages clean and intact, light age tanning to interior, bookstore stamp inside front cover. Cover has light wear to edges and corners , light spine creasing, old price sticker on front. One of the 13 Hallows - Dyrnwyn, the sword of Rhydderch - is discovered buried. For 51 years the Guardians have ensured that the magical relics will never be brought together, and their magical powers unleashed. But now the Guardians are dying, horrible, lingering deaths. (200noto,713) ; 12mo 7" - 7½" tall; 354 pages . Lake Geneva, WI: TSR. Very Good+. 1996. First Edition; First Printing. Softcover. 0786905158 . Cover has light edge and corner wear, no spine creases. Pages clean and tight, no markings other than bookstore stamp inside front cover. Desperate to escape the terrors of Ravenloft, Marguerite came to Lord Donskoy's castle full of hope for the future. Instead, she found herself betrothed to a mysterious purveyor of flesh whose secret past, like the dead, refused to stay buried. Now Donskoy's marriage has invoked a dark curse, and Marguarite into a web of fear and passion. (160-noto,7-13) ; Ravenloft Books . Toronto: Popular Library. Good+. 1976. First Printing. Softcover. 0445004045 . Popular Library 1976 edition, same ISBN. Cover has light soiling, light edge/corner wear, a little discoloration from sticker removal, a few light creases, tiny tears spine bottom. Pages are clean and intact, slight paper split at spine at two points but no loose pages, back cover pulled away from spine slightly at rear. Bookstore stamp inside front cover and also a small square area of discoloration where possibly another store sticker was removed. Light age tanning to interior. ; 12mo 7" - 7½" tall; From a Reviewer: "Terrific Pulp Horror Series! Jules de Grandin is a French doctor living in New Jersey, peerless and fearless investigator of the occult whose battles with evil were chronicled in more than 60 stories published in the 1920s and 1930s by his creator, pulp writer Seabury Quinn. De Grandin is not above dealing justice to those he confronts, especially if there is no legal recourse. Decades later his stories were reprinted in a series of paperbacks of which this is one. 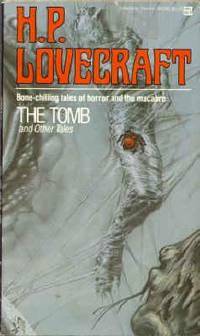 In this volume, de Grandin and his chronicler and host, Dr. Trowbridge, find themselves confronted with an ageless female aristocrat who lives on in the form of a bloodthirsty statue, disguised North African ghouls who have unwisely relocated to de Grandin's adopted home, a transplanted chapel haunted by evil ghosts of the Knights Templar, and more. Quinn delivers his creepiest tale in this collection with a non-paranormal thriller about a mad doctor seeking a hideous revenge on the young woman who jilted his dead son. Regrettably all but forgotten these days, Quinn's heroic doctor was featured in the well-known Weird Tales magazine which also showcased work by H. P. Lovecraft, Robert Bloch, and others. There is a liberal use of dialect and stereotypes and mildly racist references, but the stories are first rate and not only worth reading, but worth hunting up. " (140os/13) . Del Rey. Good+. 1982. Seventh Printing. Softcover. 0345302303 . Pages clean and intact, no markings other than a hospital lending library stamp on first endpage. Cover has moderate wear to edges and corners, light spine crease, some ink rubbing (moreso to rear cover) . This extraordinary collection features 13 spine-tingling tales of delicious terror by the unquestioned master of the horror genre, as well as portions of stories he never fully completed. Discover how the mind of H. P. Lovecraft worked, and how much his early and late stories tell about this intriguing writer. (110os); 12mo 7" - 7½" tall . Dell Pub Co. Good+. 1985. Softcover. 044013434x . New Dell edition 1985 - cover art may differ. Cover has moderate edge and corner wear, spine and front creases and tiny peeled areas on front where I assume sticker was removed. Pages are all intact and clean other than title written in ink on contents page and book sale ink markings on top edge of pages. 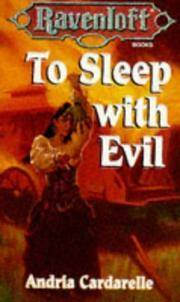 The master has lined up for your enjoyment fourteen scoundrels who are up to their necks in evil - various authors. (95os) ; 12mo 7" - 7½" tall .